We have to admit that our roads are not as safe as they used to be. Truck drivers especially are everywhere breaking traffic rules and anyone could be a victim of their recklessness – anyone, even you. If you are unfortunate enough to be caught in a truck-related accident, you deserve to get paid for the tribulations that often follows the incident. 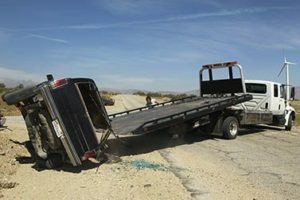 To get a prompt and full settlement, we advise you to quickly hire the services of a reliable truck accident attorney. Wherever you are, even in Norwalk, CA, you can get one when you visit us at Rawa Law Group. Rawa Law Group is a topnotch legal agency that offers topnotch legal services, especially to injured individuals. We act as advocates for the injured and we have spent many years doing same. In this period, we have helped victimized folks maximize their accident claim settlements. It is very easy to get our topnotch services in fact, we offer free case evaluation and that implies zero upfront costs when you consult us. As your case progresses, we keep you updated with the latest developments and pay special attention to your needs and schedule, even if it means making home/hospital visits. While working on your case, our attorneys also dole out some important legal counsel at no hidden charges. Rawa Law Group is not new to the business as we have gathered more than 10 years of experience and boast of some of the best accident attorneys in California. Do well to come to Rawa Law Group today to hire a reliable truck accident attorney in Norwalk, CA.